Equinox Spiritual Meaning – The equinox is part of the normal cycle of the globe around the sun. And due to it happening periodically, it became a strong spiritual symbol. The journey of the Earth around the Sun symbolizes darkness and light. But it also symbolizes life and death. This beautiful cycle often symbolizes reincarnation and rebirth. The summer solstice signifying life, new beginnings and creation. And the winter solstice symbolizing death and darkness. But what do the two equinoxes symbolize? Spring Equinox Spiritual Meaning – it is a powerful illuminating event. After the spring equinox, there is more light, the days are getting longer. Spring is the period when new life starts. The animals are reproducing. And the plants start to flower. Nature starts to wake up from the sleepy winter. Being filled with life and bustle. The spring equinox brings new chances, opportunities and starts. It also brings you energy to grow, not only physically, but also spiritually. It is a great period to set goals. Because you have the energy and strength to achieve those goals. This event also brings a sense of harmony into your life. The length of the day and night are equal. Therefore, there is equal light and darkness on earth in this period. 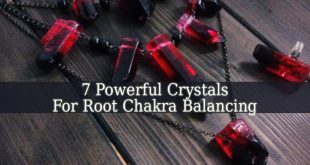 Inspiring you to achieve balance in your life. Autumn Equinox Spiritual Meaning – it is another period of transformation. But these changes are vital to help us get used to the darkness and cold of the winter. From the autumn equinox, the nights are getting longer than the days. Hence, there will be more darkness and light. But the autumn equinox also brings positive things into our life. Because this is the period of harvest. Meaning that in this period you can draw a line and figure out how productive you were all spring and summer. It is also a period a gratitude for the blessings you faced in the warmer seasons. The autumn equinox symbolizes our fight against the darkness. It is also a symbol of our own darkness inside. Which we fight each day and night. This is also a great period to contemplate on death. And to practice spirituality. This period fills people with negative emotions, which must be fought with optimism, positive thoughts and love. Spirituality being a great option. The autumn equinox inspires you to focus on your inner world. Reflect on your emotional, mental, physical and spiritual state. And prepare yourself for the darkness that comes with winter. Your energy levels are lower in this period. Therefore, it is a great time to observe and plan. Instead of acting. 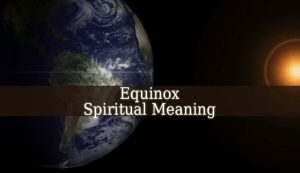 In conclusion, the Equinox Spiritual Meaning is complex. Depending on which equinox you refer to. Both the spring and autumn equinoxes are so different. They are opposite. Not only as the energy, but also in their symbolism.